Buchman Bookworks, Inc., 9781945740022, 86pp. M. L. Buchman has over 40 novels in print. 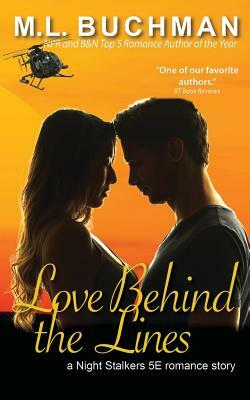 His military romantic suspense books have been named Barnes & Noble and NPR "Top 5 of the year" and twice Booklist "Top 10 of the Year," placing two titles on their "Top 101 Romances of the Last 10 Years" list. He has been nominated for the Reviewer's Choice Award for "Top 10 Romantic Suspense of 2014" by RT Book Reviews and was a 2016 RWA RITA finalist. In addition to romance, he also writes thrillers, fantasy, and science fiction. In among his career as a corporate project manager he has: rebuilt and single-handed a fifty-foot sailboat, both flown and jumped out of airplanes, and designed and built two houses. Somewhere along the way he also bicycled solo around the world. He is now making his living as a full-time writer on the Oregon Coast with his beloved wife and is constantly amazed at what you can do with a degree in Geophysics. You may keep up with his writing and receive exclusive content by subscribing to his newsletter at www.mlbuchman.com.